Add depth and elegance to any room with Pink Pom Poms. 1 x 10" Dark Pink Tissue Paper Pom Pom. Add depth and elegance to any room with these White Pom Poms. Add depth and elegance to any room with large Silver Pom Poms. 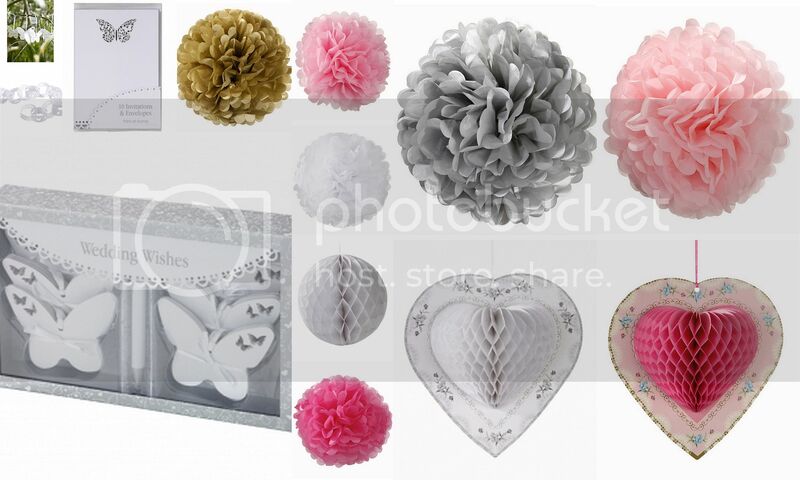 Contains 3 x 15" Tissue Paper Pom Poms, with ribbon to hang. Easy to make with instructions included. Add romance and elegance to any room with these White Honeycomb Heart decorations. Perfect for decoration at weddings, anniversaries or any special romantic occasions. 3 x 10" white paper honeycombe hearts. A selection of decorations from the Talking Tables suitable for any occasion.